March is Women’s History Month, so at the beginning of the month, I reached out to many of my favorite female authors writing in crime fiction today for some thoughts and recommendations. Jamie Mason, Meg Gardiner, Ausma Zehanat Khan, Megan Abbott, and Lori Rader-Day all sent replies along, posted earlier this month (Mason’s response posted separately), and now we bring you some of their amazing recommendations. Not all the authors listed below are currently in print (although some soon return to print), and this is certainly not an exhaustive list of all the best crime writers today (a virtually impossible task). I’ve added quite a few of the following to my “to read” list. Enjoy! On Monday, April 6, at 7 pm, on BookPeople’s third floor, the 7% Solution Book Club discusses Kerry Greenwood’s first Phryne Fisher novel, Cocaine Blues. All book clubs are free and open to the public, and book club picks are 10% off at the registers the month of discussion. Cocaine Blues, Kerry Greenwood’s first Phryne Fisher mystery, begins with a blackout. Phryne Fisher (thanks to the Australian TV adaptation Miss Fisher’s Murder Mysteries, we now know how to pronounce Phryne’s name) is attending a dinner party when the lights go off and a diamond necklace goes missing. She pulls out her lighter, finds the necklace cunningly stashed in a chandelier, and by foiling the robbery, secures an offer of employment. A middle-aged couple, worried about their mysteriously-ill daughter in Australia, are willing to pay Phryne handsomely to investigate. Phryne, bored in England and curious to return to her childhood home, agrees to take on the case, on condition that she pay her own way and look into the matter at her own pace. Upon Phryne’s arrival in Australia, she immediately acquires staunch allies. Two communist taxi drivers, a pansexual pair of Russian dancers, a Scottish female doctor, and an adventurous maid join Phryne as she embroils herself in several cases, including the hunt for a butcher-abortionist who takes advantage of his clients before performing his incompetent surgeries, and the pursuit of a cocaine ring, possibly run out of a bathhouse that also functions as a place for lesbians to meet up. She also works to find a cause for the continued and chronic illnesses of her clients’ daughter. Phryne certainly does not spend all her time solving cases – Miss Fisher is a ne’er-do-well flapper with a voracious appetite for fashion, parties, and attractive young men (not necessarily in that order) and a loathing of pretense. I don’t believe I have ever read a detective novel where the main character indulged more and regretted less than Phryne Fisher. Greenwood’s characters seem right out of a much less miserable and much more bloody Great Gatsby. The TV adaptation of the series renders Greenwood’s vision well, yet there are enough details that differ between the book and the series that the two complement each other nicely. The book even takes about the same amount of time to read as the first episode of the show takes to watch, so read the book, watch the show, and come on down to BookPeople Monday, April 6, at 7 pm, to discuss ’em both! 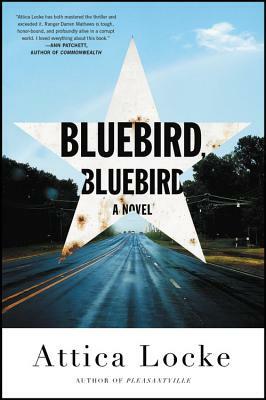 Copies of Cocaine Blues are available on our shelves and via bookpeople.com. The 7% Solution Book Club meets the first Monday of each month. As always, books for book clubs are 10% off when purchased the month of discussion. Once again, Akashic’s Mondays Are Murder spot gives us a great short story. Rob Hill uses the creepy atmosphere or New York’s Thompson Square at night to deliver a suspense story that borders on horror. At the beginning of March, I contacted many of my favorite women in crime fiction. In honor of Women’s History Month, I asked for a few thoughts on the history of women in crime fiction, the future of crime fiction for female authors, or women’s representation in detective fiction. I also asked for some recommendations to pass on – look out for a thorough list of all the recommendations I got in the next week. I received wonderful responses from Lori Rader-Day, Megan Abbott, Meg Gardiner, Ausma Zehanat Khan, and Jamie Mason (read her response here), each highlighting the long history of women in crime fiction, the prominent place in the genre of many female authors today, and passing along some great recommendations. Lori Rader-Day’s debut novel, The Black Hour, came out last year, and she’ll be releasing her next one, Little Pretty Things, in July. Megan Abbott’s most recent work is The Fever, and her books run the gamut from historical plots set in the golden age of noir to, more recently, plots focusing on the dangerous lives of adolescent girls. Meg Gardiner writes breakneck cyber-thrillers starring extremely capable women. Her latest is Phantom Instinct. Ausma Zehanat Khan recently published her first novel, The Unquiet Dead, to much acclaim. There is a vast and diverse body of work written by women and shelved in the mystery section – almost an overwhelming amount, when attempting an analysis, especially one written for a blog. Lori Rader-Day, in her response, brought up how “one of the greatest things about crime fiction is how many brilliant women write it. There’s such a long tradition of fantastic women crime writers that I could read for the rest of my life (and that’s my plan) and never catch up.” Meg Gardiner responded, “Women have been the backbone and animating force in crime fiction since the beginning. From Agatha Christie to Patricia Highsmith to Gillian Flynn, women have defined, deepened, and blown up the genre.” Ausma Zehanat Khan, in her reply, mentioned that “most of the mysteries I read are written by women, and I also think women are very well represented as equals in detective fiction, although possibly not as much in higher ranks, which is likely more a reflection of the real world.” I think that we can all agree – women in crime fiction are here to stay. Do women write crime fiction differently than men? Ausma Zehanat Khan responded, “Generally speaking, I think women write better detective novels with deeper characterizations and greater empathy, although I’m never really sure that you can generalize.” Women are certainly more likely than their male counterparts to have strong female protagonists, yet many male authors do write powerful and intriguing female protagonists. Lori Rader-Day, after writing “I look forward to anything new by Tana French, Catriona McPherson, Denise Mina, Clare O’Donohue, Sara Gran, and Gillian Flynn,” made sure to mention that “I read male authors, too, of course, and I can be enchanted by a male author who captures a female protagonist well, like Alan Bradley and James Ziskin.”Perhaps, in analyzing fiction, we’ve moved beyond wide generalizations based on gender, and this is, in my opinion, a very good thing. While women may be well-represented in the ranks of detective novelists today, not many classic female detective novelists (with certain exceptions, such as Agatha Christie, Dorothy Parker and the great Patricia Highsmith) have stayed in circulation. The history of women in crime fiction is long, yet consistently undervalued. Many of those women who helped to originate, develop, and explode the genre of detective fiction are no longer in print. Those who have remained in print are generally from the British tradition of detective fiction, rather than American noir. Others who helped to originate the detective genre have found a home in classics, their history as genre fiction subordinated to their position as literature. Meg Gardiner, when asked about the history of women in crime fiction, responded: “Hell, go back to the earliest days of great fiction—who wrote the original novel of tension, terror, and adventure? Mary Shelley. She gets credit for sparking science fiction and the horror genre. She’s also a founding force for suspense fiction!” I had contemplated Mary Shelley as an originator of horror, but had never thought of her before as paving the way for thrillers. I’m adding a belated New Year’s resolution to my already long list: I resolve to remember that the difference between literary fiction and genre fiction is a fine and porous line, and like any definition, fraught with ambiguity. However, the prognosis for our ability to appreciate classic female detective novelists is good. Megan Abbott, in her discussion of the history of women detective novelists, brought to the fore “the Library of America’s upcoming volumes devoted to female crime writers from the golden age of noir. These volumes will be edited by Sarah Weinman and will finally push back into print some of the true masterpieces of the genre.” (The Library of America’s collection of Women Crime Writers comes out this September. Preorder now.) Abbott points out in particular the inclusion of “Dorothy B. Hughes’s In A Lonely Place, Vera Caspary’s Laura, Elizabeth Sanxay Holding’s The Blank Wall and Margaret Millar’s Beast In View. These were books that were wildly successful in their day, and had a huge impact on crime fiction to come, but have been unjustly forgotten. It’s a thrilling development.” That the Library of America has chosen to bring back into print these volumes is a statement of confidence in the canonical status of each writer included in the collection. People have always read the novels of women crime novelists writing at the time, but now is our chance to explore the lesser known classics that paved the way for women writing in crime fiction today. While many of us fans of crime fiction by women did not grow up reading the classics of female noir, we did benefit from the splintering and diversification of the detective genre in the 1970s and 80s. Not only did the feminist movement spur a vast array of more widely politicized detective fiction by women – this time period also saw a diversification of voices in regards to ethnicity, class, and sexuality. Many of these authors have stayed in print and are still read widely. There is a strong continuum of forward momentum from this point onwards, and women are now near-equally represented in the genre. As a female reader of detective fiction by both male and female writers, I believe the biggest gendered problem in detective fiction right now is not a lack of female authors, but an intensification of violence against women by some male and some female writers. The detective genre is certainly a violent one, to its core, and gendered violence is a world-wide issue that cannot be simply subsumed to a socialist realism narrative – when I read a detective novel, I want a nutshell version of a realistic society, and that includes violent, gendered crimes. 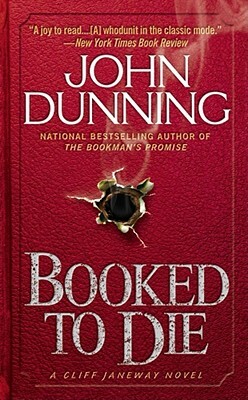 However, I have lost track of the number of detective novels I have read that not only hideously torture and murder women in uncommon-in-real-life ways, but deny those women any kind of voice, spending more time describing a dead body than a vibrant soul, lost to the world and yet deserving of remembrance. Women are not just corpses – they are characters. The more women writing crime fiction, the less we will see female characters treated as disposable playthings and the more we will see women enacting their own stories and determining their own agency. There are also plenty of male authors out there bucking the trend – writing strong female characters and taking a responsible attitude towards the representation of violence against women. I’d say the future of women in crime fiction – as authors and as characters – is looking pretty darn good. One of my favorite books released this spring has been Duane Swierczynki’s Canary, the story of a seventeen-year-old college freshman forced to act as a Confidential Informant. Duane fires on all cylinders in this one: Canary is funny, intense, gritty, and surprisingly moving. We caught up with Duane to talk about the book, its main character, and and her recruitment into the war on drugs. MysteryPeople: Many of your books have a heightened quality, but Canary feels a little more grounded. Was that your intention going in or was that simply where the story took you? MP: Confidential Informants are a staple of crime fiction, but rarely as a protagonist. What made a lead in that position unique to write? DS: Nobody loves a snitch, so I was determined to create one that readers might root for. One of the inspirations was a New Yorker article about the plight of young C.I.s who are often left to their own devices. Fellow comic book writer (and gentleman) Fred Van Lente pointed it out to me one day, saying that it would make an excellent subject for a crime novel. He was right. C.I.s straddle the line between the cops and the underworld, which is an incredibly precarious place to be. MP: With a lot of the cop and criminal parts of the book, I couldn’t help but think of some of those gritty crime movies from the Seventies. Did you have any influences for the book? MP: Much of the story deals with Sarie keeping what she’s doing from her father and brother. What drew you to the family element of the story? DS: I think being a father, and having children of a certain age — and worried about the choices they might make down the line. In my previous novels, I was usually throwing some avatar of myself into crazy situations. But I realized that it would be much more terrifying to have my children in jeopardy. MP: This is your first female lead and also someone much younger than you are. Did you feel you had to approach Sarie differently or ask more questions about her during the writing? DS: Dude, are you saying I don’t look 17? Thanks a lot, man. I was very nervous about writing from the POV of a 17-year-old girl. But I tapped into my own memories of being an awkward, 17-year-old college freshman (like Sarie, I was pushed up a year) trying to figure out the near-adult landscape. Her journal entries, though, didn’t really take shape until I realized that she should be writing TO someone, instead of just recording her thoughts. That helped a great deal. MP: You delve into the war on drugs with little judgement. What was the biggest takeaway from the subject after writing about it? DS: It’s funny; I think I am fairly judgmental about it. Recently, Don Winslow (the authority in this area) tweeted a link to a piece about how the Mexican cartels are adapting to pot legalization in the U.S. — namely, by seeking other markets. That right there says it all: drug dealing is a business, and the drug war is no more effective than Prohibition was. You can find copies of Canary on our shelves and via bookpeople.com. You know that famous saying that there are a limited number of plots? Well, with his latest book, Harlan Coben, has just added one more to the list. We’ve all read books, especially thrillers, where a friend or family loved one turns into an enemy and you fight for your life. See Gone Girl, etc, for that plot-line. Or those books where protagonists are fighting their enemy, adversary, nemesis; be it Sherlock versus Moriarty, Americans fighting Russian leaders in the 80s, or, more recently, those same Americans fighting Middle Eastern terrorists. In both cases plot-lines often involve plot twists which regularly involve secrets. Coben, in his new book, The Stranger, explores another concept: What if strangers approached you and, without any obvious motivation, told you something about your daughter and/or wife that just destroys you and,potentially, your family? As the book kicks off, the protagonist, Adam Price, is approached by a stranger who tells him that his wife used a website to fake a pregnancy. When he asks her about it she essentially disappears. Meanwhile, a mother is told a completely different secret about her daughter that is similarly shocking and destructive to their family. Who are these strangers and why are they sharing these secrets? Not since viewing Alfred Hitchcock’s classic noir Strangers On A Train, based on the Patricia Highsmith book of the same name, have I been so wary of strangers. Stranger Danger indeed! I don’t want to say more for fear of giving up spoilers. I am embarrassed to admit, given that I read about 50 books a year and do at least 15 interviews of authors a year (indexed here), that The Stranger is the first Harlan Coben book I have read. Given how strong and engaging I found the plot-line to be, I will soon be reading more by him. Harlan Coben comes to BookPeople Thursday, March 26, at 7 PM on BookPeople’s second floor. Mr. Coben will be speaking and signing his latest oh-so-chilling thriller,The Stranger. All BookPeople events are free and open to the public. You must purchase a copy of the book in order to join the signing line. Copies of The Stranger are available on our shelves and via bookpeople.com. I reached out to several of my favorite female crime novelists at the beginning of March, hoping to get a few thoughts on the work of female authors in the detective genre and the representation of female characters. I was extremely gratified to get immediate responses from several wonderful authors. 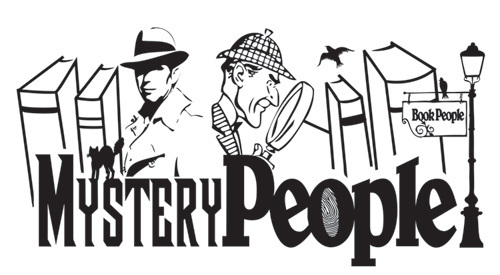 Check back on Thursday for some additional thoughts, and to (belatedly) kick off MysteryPeople’s March ode to women in crime fiction, I bring you a guest post from a recent visitor to the store. Jamie Mason is the author of Three Graves Full and Monday’s Lie, and writes intense and atmospheric detective novels brimming with psychological insights. She stopped by the store in February for a signing – you can find signed copies of her latest on our shelves and via bookpeople.com – and I was privileged to review her latest novel for the blog. MysteryPeople also got a chance to interview her about her debut novel. I came into my reading life, or more specifically into my interest in crime fiction, when the idea of crime fiction as the province of male authors was nearing its end. Of course, there were plenty of female authors in the foundations: Josephine Tey and Dorothy Sayers and Daphne du Maurier and Patricia Highsmith and Agatha Christie, just to list a few. There has always been Agatha Christie. 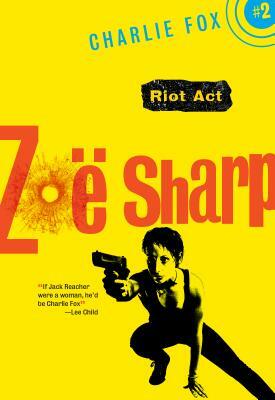 There have always been women crime writers, but by the time my own my reading turned to crime as one of its staple foods in the early nineteen-nineties, finding female crime novelists wasn’t much of a thought for me. The wave of Ruth Rendell and PD James, Patricia Cornwell, Mary Higgins Clark, Sue Grafton, and Kathy Reichs was the one I rode out, never wondering if the Captains wore skirts. And isn’t that nice? I read both men and women crime writers (in fact, I read both male and female writers across any number of genres) but if I take a longer view, you can see the rise of women crime writers over these last three decades. If you regard To Kill A Mockingbird as crime fiction, you can say that the very best in crime writing is floated on the kite strings of double x chromosomes. There are plenty of examples. But I think one of the best things about crime fiction, especially now, is the egalitarian feel of the results. Good crime fiction is good crime fiction. And there’s so much good crime fiction out there just now. Men buy Gillian Flynn and Laura Lippman (as well they should.) Tana French’s readers come in all plumbing. Megan Abbott is brilliant. So are Tess Gerritsen, Kate Atkinson, Lisa Lutz, Mo Hayder, and Sara Paretsky. And these are only the names that come quickly to me. We are Legion. It’s still important now, for the time being, that we make a point of women in crime fiction, a point of women in very many slots and chutes of achievement, really. But I have hopes that the horizon where gender is no longer an important distinction is a little closer in the crime writing world than it is elsewhere. The future of crime fiction might very well be a small-but-illustrative map of a place where we won’t need initials or neutral pseudonyms to play coy with our genders – a place where good work speaks for itself.